Italy is famous for its historical cities, incredible architecture and marvellous food. However, most of the tourist places are extremely crowded, thus dampening the holiday a bit. But, what most people do not know is that Italy is endowed with some of the most picturesque landscapes in the world, which should be explored on foot. This is the reason why hiking in Italy is one of the best things to do in this European country. While there are several hiking trails and spots in Italy, we have come up the 7 best which you should consider during your Italian holiday. Before you start you’re hiking holiday, all you need to do is check out the Italy tourist visa requirements and apply for an Italian or Schengen visa. 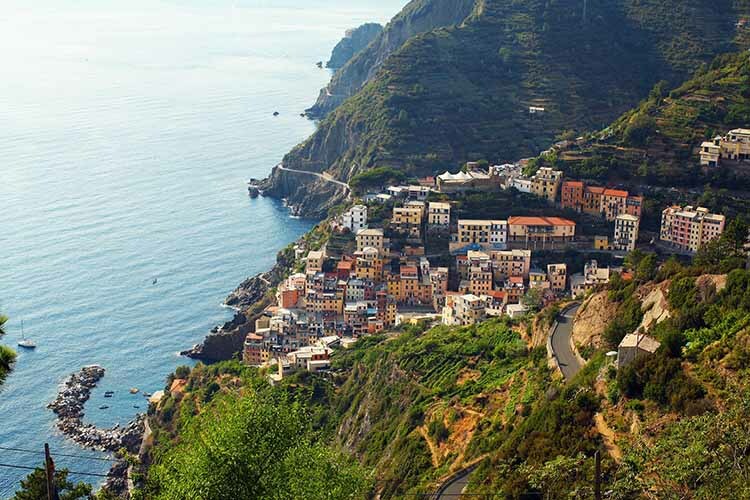 Cinque Terre is home to five charming villages, painted in pastel colours. The best part is that the villages are located on a cliffside, on-looking the beautiful blue Mediterranean Sea. This scenic trek is pretty easy and would take around five hours, excluding the time you spend visiting each village. One of the most popular trails of Cinque Terre is the Blue Trail, also known as the Sentiero Azzurro, where you walk from Riomaggiore to Monterosso. Apart from the view of the sea, you would be able to enjoy gorgeous vineyards, beautiful olive groves and stunning terraced hillsides. This is a great place for a family trek, especially if you do not want to do anything strenuous or risky. Italy has lot of historical sites and if you can visit a historical site while hiking, it would make your holiday really interesting. 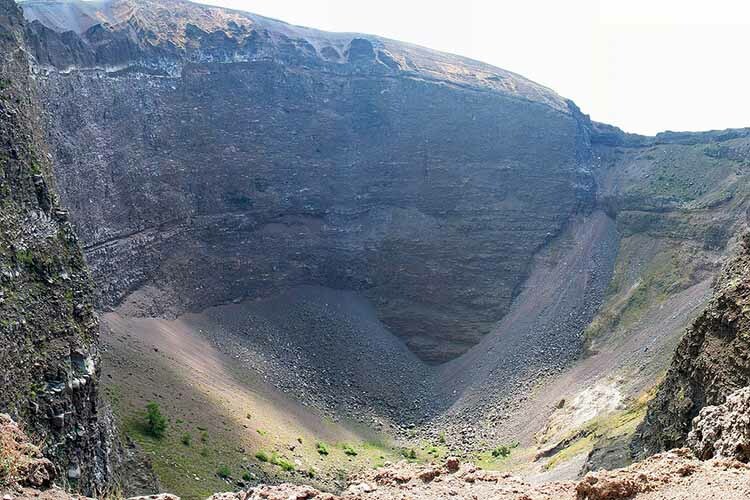 Here, we are talking about Mount Vesuvius, the volcano that destroyed the entire city of Pompeii in 79 AD. The most fascinating thing is that the volcano is still active but is considered safe, currently. The hiking trail on Mount Vesuvius is known to be moderately easy, and it takes around thirty minutes to reach the summit. From the top, you get to see the crater and the markers of the lava and gas that had spewed all over. You would also be able to see Bay of Naples and of course, the city of Pompeii. On your way back, do visit the ruins of Pompeii to have a complete experience of the place. If you are a seasoned hiker and have experience in mountaineering, Sardinia is a place that would put you on one of the toughest hiking tests in Italy. 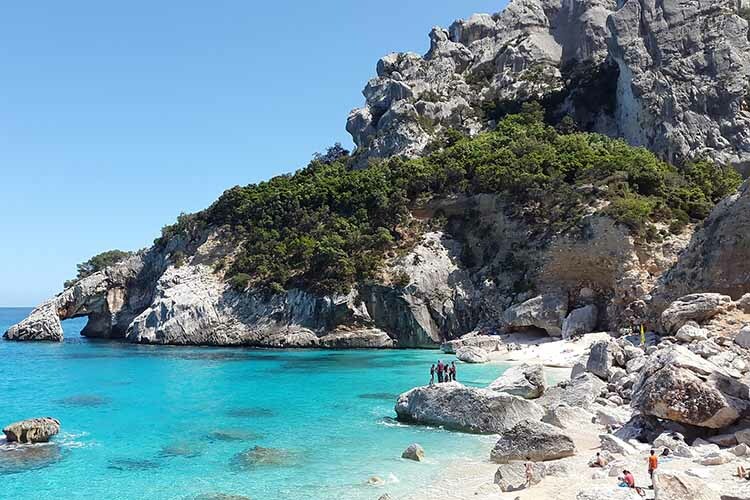 The Selvaggio Blu in Sardinia is extremely demanding and takes somewhere around 4-6 days to complete. However, if you are up to the task, you would be rewarded with some splendid views and landscapes. You would be able to enjoy huge cliffs, deep gorges and interesting caves. Also, you would be able to see marvellous panoramic views of the Mediterranean. However, you need to remember is that Sardinia is Italy’s wilderness and it is hard to find water or even any signs. Still, the beauty of the place makes it a must-try hike when in Italy. If you are not familiar with the place, it would be best to go with a hiking guide. Any serious hiker would know about Dolomites, which is a part of the Italian Alps. Although not as famous as the Swiss Alps, the Dolomites are equal in grandeur and beauty. The Dolomites offers some of the best hiking trails in Italy, some of which include Alta Via 1, Tre Cime di Lavaredo, etc. All the trails on this hiking spot would take you through beautiful lakes, charming meadows, spruce forests, dramatic cliffs, pastoral valleys, etc. The place also has a historical connection, and you would be able to see a place where the World War I was fought between Italian and Austrian, while hiking. The hike on Dolomites takes 10-15 days and is physically exhausting. Go for this only if you are a thorough professional hiker. This is one of the shortest hiking routes, located in Southern Italy. 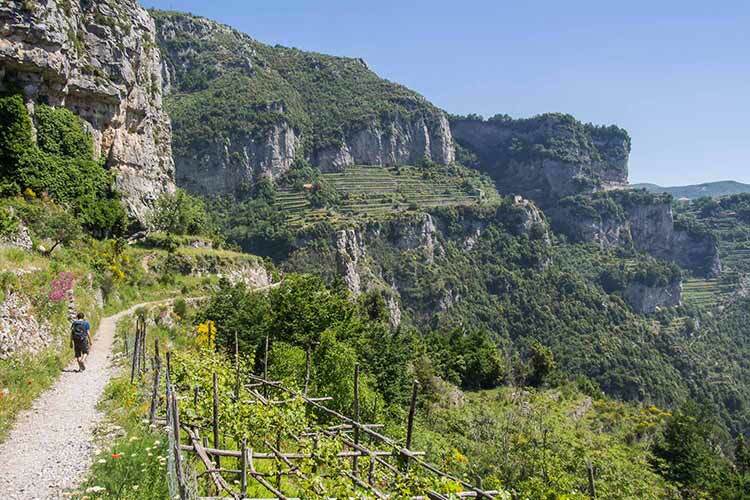 The Sentiero degli Dei, translated as Path of the Gods in English, stretches up to 8 km and takes around 4 hours to complete, even if you are on a slow pace. Perfect for a leisurely hike, this spot in Southern Italy offers some of the most beautiful locales and views that you would ever see. The wooded Lattari Mountains, the shining Mediterranean Sea, the distant view of the island of Capri, etc. are some of the things that you would see here. The best part is that the Amalfi Coast has hardly been touched by humankind. Enjoy walking thorough terraced hillsides, rosemary plants, lemon plantations, etc. during your hike. 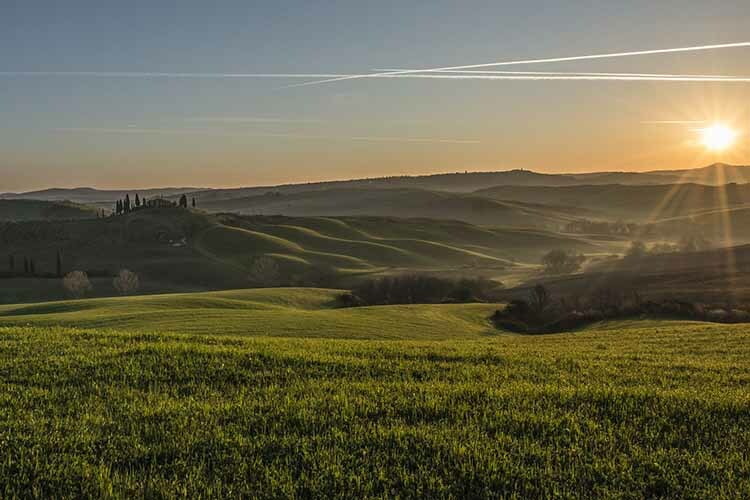 Tuscany is known for its history, art and food. However, not many know that it is a great place for hiking too. The city has some great hiking trails but the best and the most popular is the Renaissance Ring. This trail extends up to 170 km and goes around Florence. The entire trail is divided into 13 stages and can be covered in two weeks time. During the hike, you would be able to see verdant jungles, beautiful countryside; Roman ruins monasteries and medieval castles in Italy. The other hiking trail in Tuscany is the Chianti Trail, which would take you through medieval villages and vineyards. If you are visiting the scenic Aeolian Island of Sicily, you must take this opportunity to hike on the Stromboli Volcano. This is an active volcano and you would be able to see the lava explosions coming out of it. The entire trek takes around 6-8 hours (roundabout trip) and is moderately difficult. What makes the hike spectacular is the sight of the volcanic mountain with its black sand and pebbles against the turquoise sea. However, if you want to enjoy the true visual effect of the volcano, you must visit the place during night. You would easily get a hiking guide who would help you in this Italian hiking adventure. 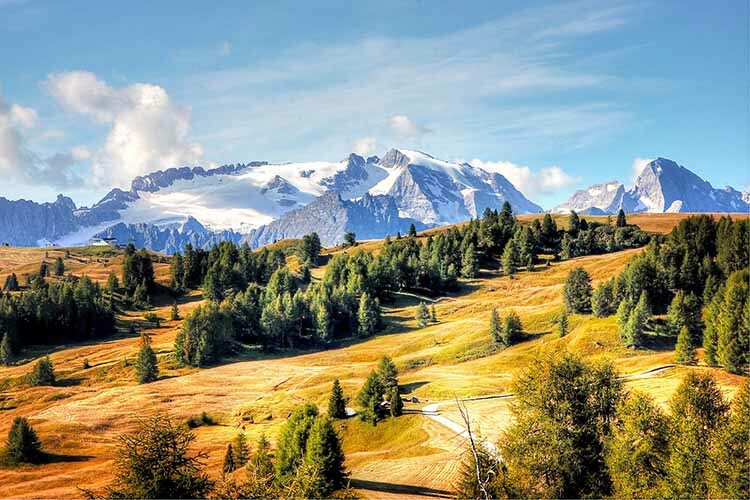 The adrenaline rush of hiking along with the sights of one of the most beautiful countries in Europe would make your hiking trip in Italy truly memorable. 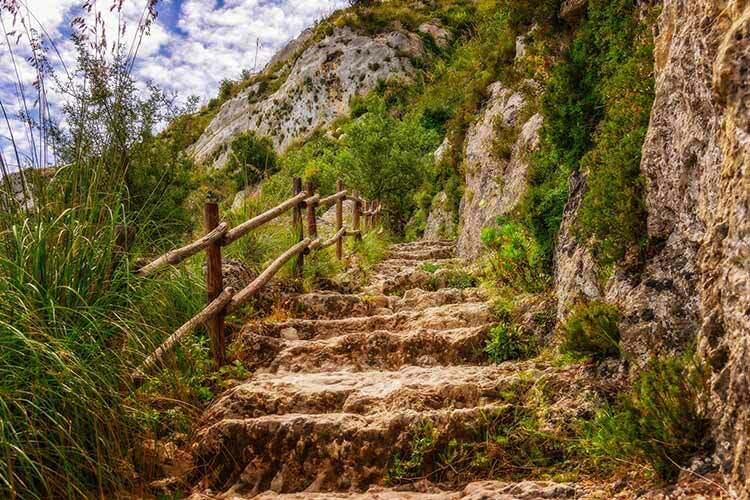 If you are a hiking enthusiast, Italy should definitely be on your hiking list.